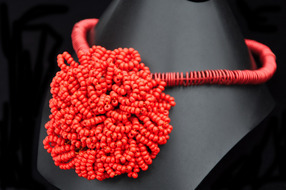 Hibiscus handmade necklace is part of the Carmen Eliam jewelry Grillage collection. 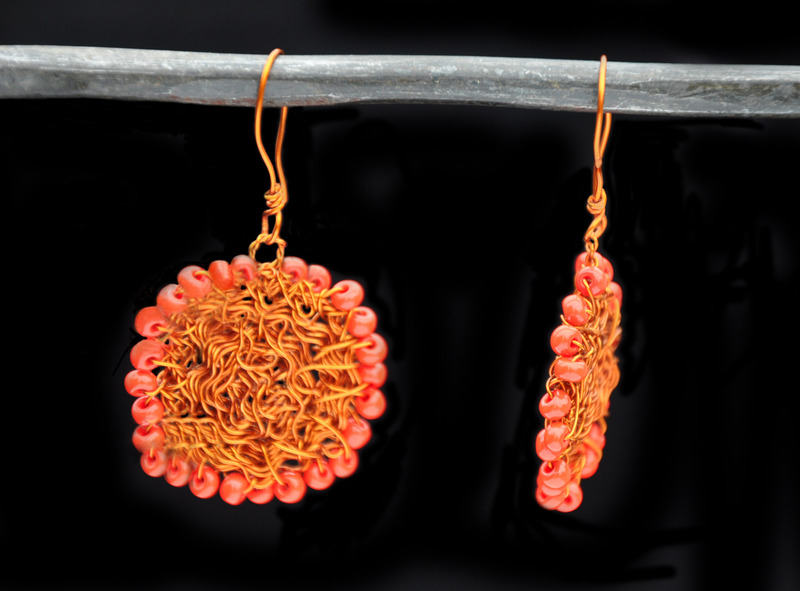 Made of vibrant red copper wire and spicy red trade beads. 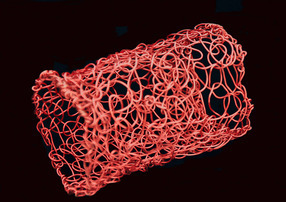 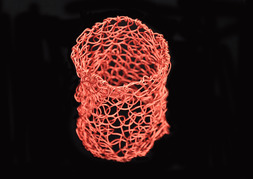 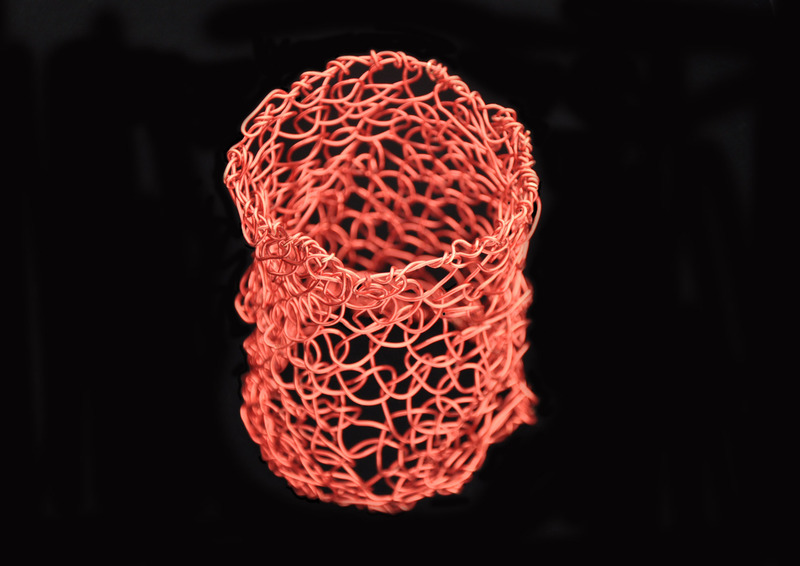 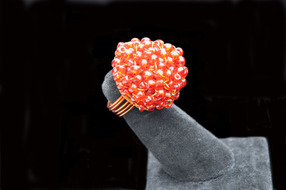 Chic grillage cuff bracelet is made of eco-friendly red copper wire. 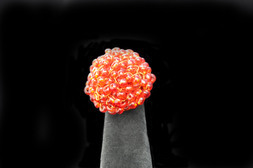 This cuff bracelet is Carmen Eliam's stress relief talisman. This unique, bold handmade chiffon earrings is part of Carmen Eliam Grillage collection. 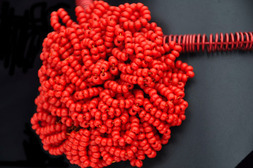 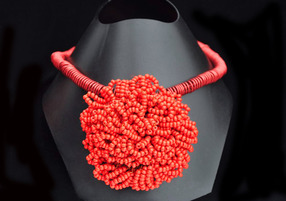 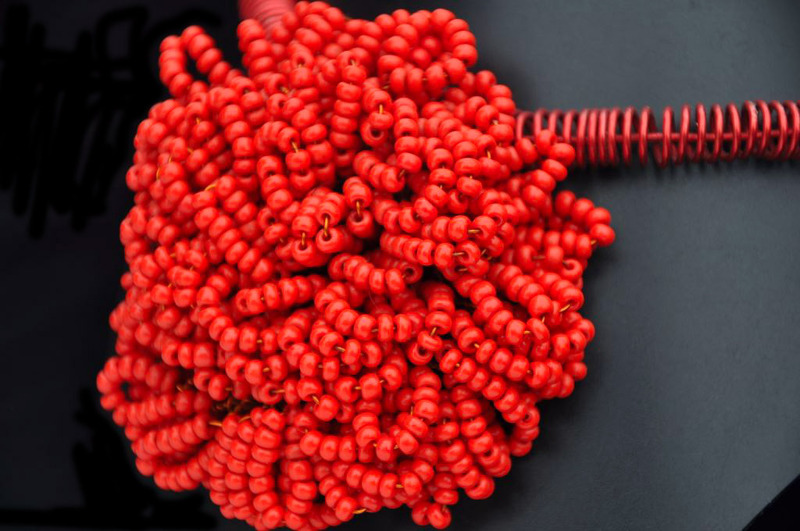 Made of spicy red trade beads and eco-friendly copper wire. For a rendez-vous-galant, cocktail party or an elegant dinner, this bold, eco-rich and handmade cabochon ring is the perfect bijou. 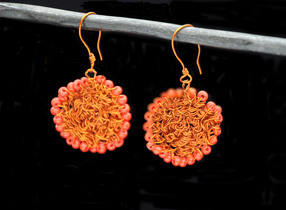 Made of rich trade beads with copper wire.